These are some tough economic times. Prices at the supermarket are on the rise while benefits, salaries and jobs are getting cut. Don’t let the recession negatively impact your diet. You can still eat healthy low calorie food without breaking the bank. 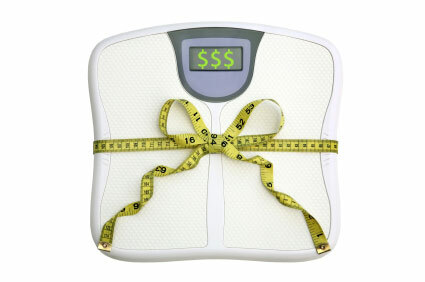 Here are 10 tips on how to save money and still maintain your waistline. 1. Cook Your Own Meals – Cooking your own meals from scratch will always cost less than take-out or frozen food. If you are already cooking your own meals, you are on the right track. 2. Don’t Go Shopping Hungry – How many times have you made that mistake? Eat before you shop. Otherwise you will wind up buying things you probably don’t need. 3. Stock Up – I always buy whatever is on sale and save it for the future. When chicken broth is on sale, I stock up. When chicken breast is $1.97 a lb (like it was this week) I buy several packages. I take it home, wash it and separate it by portions and freeze the extras in freezer bags to use in the future. 4. Shop at Your Local Farmer’s Market – This step saves me a lot of money. The prices are usually substantially lower than what I pay in the supermarket and I buy whatever is in season. 5. Plan Your Meals According to What’s On Sale – My mother has been doing this all my life. If roast beef was on sale, that’s what we had for dinner. 6. Make a list – Go through your circular, decide on your menu for the week and make a list of everything you will need. This prevents you from over shopping and buying things you don’t need. Organize your list by aisle – produce, meat, dairy, etc. to save you time and money and keep you disciplined and away from the junk food. 7. Start a Gourmet Club – Rather than going out to eat at fancy restaurants, why not have a gourmet club with some friends and take turns hosting it. Everyone can bring a “healthy” dish and it’s a fun night out for all. 8. Shop The Perimeter of the Store – Produce, dairy, bread and meat are always on the outside aisles. You will eat healthier and save money buy avoiding the center aisles when possible. Only dip into the center aisles occasionally when you may need spices, flour, etc. 9. Eggs are Inexpensive and Versatile – You can have them for breakfast, lunch or dinner. Add them to a salad, put them in your soup, have an egg white omelet for breakfast or make a frittata for dinner. If you have a Sam’s Club, BJ’s or Costco near you, you can save tremendously by buying your eggs there. Consider splitting them and the cost with your neighbor if you don’t use them that often. 10. Buy Legumes – For under $2 you can buy a package of lentils, beans or split peas and feed 6 people. Put them in soup, chili, salad or make a side dish with them. In third world countries, beans are a staple because they are healthy and inexpensive. Thank you so much Gina for this web site. I am so grateful I found it. Also looking for low calorie, weight watcher recipes with the nutrition data.. Really enjoy all the helps & tips. This blog is going to help/motivate me so much. Im starting today and by the grace of God I found this site. Thank you so much for taking the time to make this blog with all these wonderful recipes, helpful tips and more. Your awesome, Gina! this is some good advice. I especially loved your tips for cooking with legumes and eggs! Excellent advice. The female half of the Duo has monthly dinner parties with 3-4 other WW friends, and we all bring a different WW dish to go with the month’s theme. Much cheaper than our eating out days! Excellent reminders! I think I think about that stuff all the time, but forget when I get to the grocery store. And I’m finally just getting into legumes, and it’s so totally exciting! Great tips, Gina, thanks for posting them!